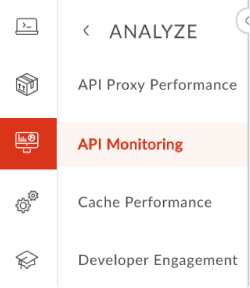 You can access API Monitoring using the UI and API, as described below. To access API Monitoring, your Edge user must be assigned to one of the roles described below in API Monitoring roles. All Edge users must be assigned to a role, where the user's role determines the actions that the user is allowed to perform in Edge. 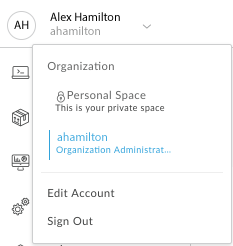 Edge organizations come with built-in roles that predefine permissions based on different user types. Alternatively, you can assign a user to a custom role that you define. Several predefined roles allow the user access to API monitoring features, as shown in the following table. Edge also defines two built-in roles, API Monitoring Administrator and API Monitoring User, that define the permissions required to access API monitoring only. The advantage to using these roles is that they restrict the user to being able to use API monitoring, but not to perform other actions such as creating, updating, or deleting API proxies. Assign users to one of the following roles to access API Monitoring. For information about assigning roles, see Assigning roles. Note: Users assigned this role will not be able to set up alerts and notifications or create and edit custom reports. Note: Users assigned this role will not be able to set up alerts and notifications or create custom reports. Note: Users assigned this role will not be able to create custom reports. Log in to https://apigee.com/edge as a user with an appropriate role. Switch to the organization that you want to monitor. Select Analyze > API Monitoring. The API Monitoring dashboard displays. See Exploring the API Monitoring dashboard. See Use the API Monitoring Management API.